As the country’s Chief Commercial Advocate, Secretary of Commerce Penny Pritzker works to ensure that U.S. companies have the best possible chance of selling their goods and services abroad. Through the International Trade Administration’s Advocacy Center (AC), the Department of Commerce helps level the playing field for American businesses by coordinating U.S. government resources on behalf of U.S. companies that are bidding on contracts to sell goods and services to overseas governments. This kind of collaboration and advocacy helps exporters win contracts and protects American jobs. In fact, the work of the Advocacy Center supported close to 200,000 U.S. jobs in fiscal year 2014 alone. 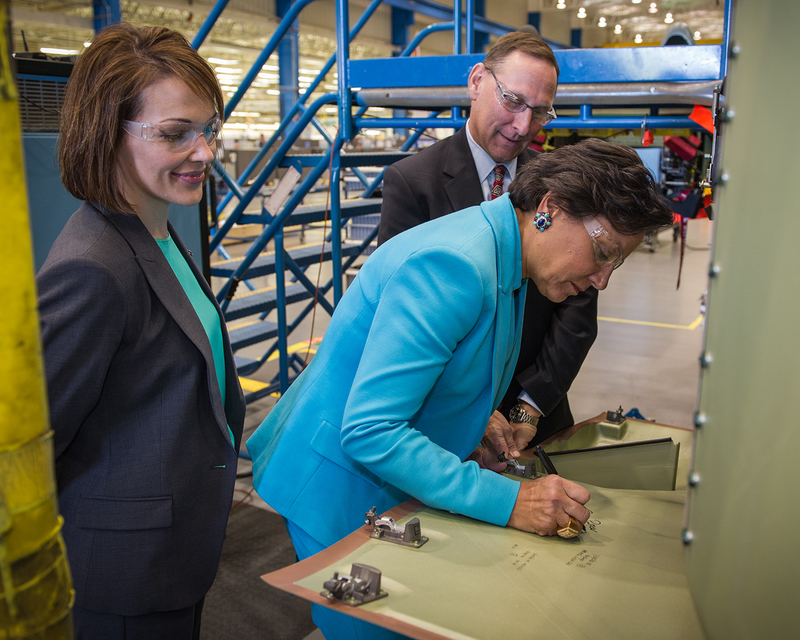 This week, Secretary Pritzker visited the Boeing facility in Mesa, Arizona, which has benefited from the efforts of the Advocacy Center. Just last August, the Advocacy Center helped Boeing win a $1.6 billion contract to sell 36 Apache helicopters made in Mesa to South Korea, which will support several hundred U.S. jobs. Boeing is one of the many U.S. companies that receive support from the Advocacy Center, which is currently handling almost 1,000 active cases on behalf of companies of varying sizes and business sectors. With proven success, Commerce Department will continue to advocate for U.S. exporters so that America can remain competitive in an increasingly global economy. As a resource to help U.S. businesses sell their goods and services abroad, the Advocacy Center is a key component of President Obama’s National Export Initiative (NEI), a government-wide effort to support U.S. businesses in exporting to the 95 percent of worldwide consumers who live outside America’s borders. Since NEI was launched in March 2010, the Advocacy Center has been successful in 228 cases, which have a U.S. export content value of $163.7 billion.